NFL’s Sunday Night Game seems more like a Fantasy Football matchup, Aaron Rodgers against Tom Brady in a primetime game is just too good to be true. These two future Hall of Fame quarterbacks have only met on the field once before nearly four years ago; on November 30, 2014, the Packers prevailed over the Patriots 26-21. This time around things might be different. The Patriots are a powerhouse at home, which begs the question why after opening as a 6-point favorite earlier in the week, New England’s line has now dropped to -5.5? Do the pay per head experts over at AcePerHead.com know something we don’t? The answer is, yes, they must know something because every stat I have pulled should put the Pats at a much higher number than that. For example, this season they have won all 4 home games, and they have won their last 11 games as the home team, nine of those games were won by a margin of at least 7. To make my point even more compelling, out of those 11 home game wins, the Patriots went 9-2 ATS. The other side of the betting odds clearly must be considered, Aaron Rodgers is one of the best quarterbacks in recent history, and the Packers have been the team to beat in more than one occasion, but, having said that, this season things have changed. This is the fourth time this season that Green Bay has opened as an underdog, and they have yet to win a game on the road; this is a clear sign at least in my mind that they are in a rut and can no longer be considered an elite team. But, before the fans bite my head off, I will recognize that if there is a team that can make a glorious comeback, it would have to be the Packers. And no matter what, both teams shine during primetime games. I expect this game to be a high scoring one, for the following reasons, the Packers have gone over in seven of their last eight-night games; meanwhile, the Patriots at home have gone over the total in seven out of their previous eight-night games. Another reason to suspect this will end up being a high scoring game is that Green Bay’s defense has suffered this year, they are allowing an average of 30.3 points per game, under normal circumstances this would be bad enough, but, against a team like New England you just can’t afford to give them that much. Having said that, the Patriot’s defense isn’t exactly in top shape either, they are allowing an average of 23.13 points per game, but, if we exclude the games against Miami in week 4 and Buffalo in week 8 where they kept their opponents under double digits, the Patriots offense is allowing an average of 28.67 points per game. Ultimately, this game is exciting because of the quality of their quarterbacks, so it comes down to who is better, Rodgers or Brady. Not an easy question to answer I’m afraid, this season Aaron Rodgers has been more effective even though he has been sacked 24 times and hit 48 times. He has only thrown one interception compared to Brady’s seven and has a higher QB rating. So, I think it’s fair to say right not, Rodgers is the better QB. 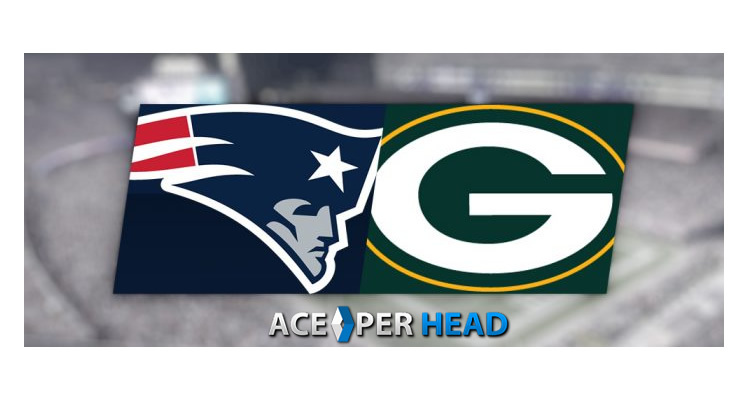 So, does this explain why Ace Per Head has the Patriots as only 5.5-point favorites in Sunday’s game? It does, explain the line at least in part, the other side of the equation, and one reason why Ace Per Head is successful, is because they do take into account the likability of a team, and people love the Packers, and having such a sharp line will create a lot of interest in them helping to develop a good balance for agents.